Personally, I don't mind living in a modern stone age if it means there won't be any suffering in the world. ^Seconded. For death or glory with the hot blooded approach! 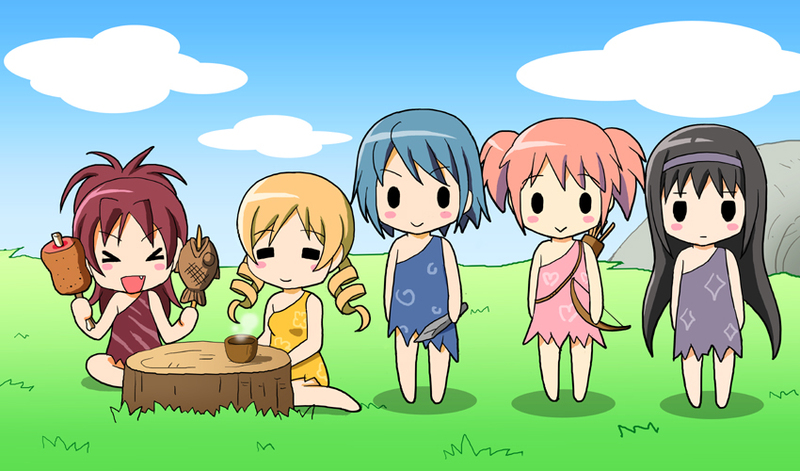 Cave girl slice of life spinoff? Age of Empires 1 go. At home. It's a circle of massive stone blocks, you don't just carry it around like a bracelet. I'd prefer some girls to suffer, if it means the evolution of entire human race... Am I a monster, or just a technocrat? Eh, its an old religious argument that dates back to the dawn of the enlightenment, with very smart people on both sides. Would it have been better for mankind to remain happy and stupid in the Garden of Eden, or are we better off banished but wiser for having eaten the Forbidden Fruit? Both you and I say the latter, but many would argue the former. Yes, this means there is an immediately obvious connection between gag what if fan-art and serious theological debate. The internet is weird.